The main-image is mapped. You can pass a mouse over areas of content and receive an "alt-tag" (if your browser is set to do so), or click on it to got to a detail-image which identifies the content seleted. A list of indexed-content is beneath the image. 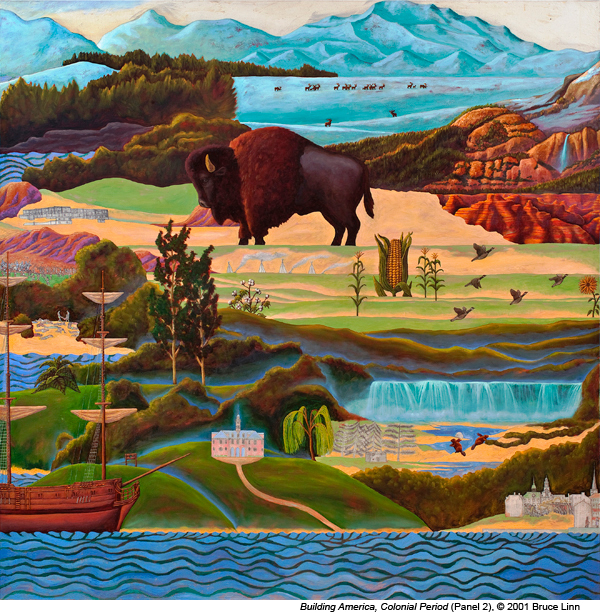 Overview of Building America, a fifty-four-foot painting of the history of the United States.